We are all familiar with the two basic states of consciousness: awake and asleep. But there is also an in-between state, known as hypnagogia. This is derived from the Greek words ‘hypnos’ (sleep) and ‘agogos’ (leading), which means, the state leading into sleep. Have ever taken a nap, and experienced a strange, trance state? This can include dreamy stories playing out in your mind, sleep paralysis, or even an out of body experience. This experience is hypnagogia. You may experience hypnagogia many times a week, or even daily, before you fall asleep. Discover how this unique state of limbo can advance our spiritual growth and self-understanding. Depending on whether you are primarily a visually oriented, auditory oriented, or kinesthetic oriented, your experience of hypnogia will vary. Some common ways hypnagogia can be experienced. Images: This imagery can be colorful or monochromatic, stationary or moving. Usually these images are fleeting, but sometimes they can form into dream-like scenes. Sound: This can be quiet or loud, and may involve music, voices, bits of conversation, repetitive words, or hearing one’s name. Hypnagogic sound can also include nature sounds of rain, wind, fire or animals. Repetitive actions: This is known as the Tetris effect. This occurs when someone has spent a long time doing something repetitive, such as working, sports or exercising. They can find themselves repeating these actions as they enter the hypnagogic state. Physical sensations: These can include smells, tastes, feelings of cold or heat. Also during hypnagogia, you may experience floating, falling, leaving your body, or feeling your body change shape. Mental process: Your thoughts may begin to free associate, morphing and evolving in abstract and innovative ways, uninfluenced by the ego. Sleep paralysis: This is the experience of brain awake, while the body sleeps. You may experience being able to see, even though your eyes are closed. You may also experience sensing or seeing astral bodies close by. In Tibetan Buddhism, hypnagogia is used to practice dream yoga. Dream yoga is based on the premise that hypnagogia can be used to train the mind, and for spiritual awareness. Dream yoga can lead to the experience of enlightenment. There are also people who call themselves Oneiromancers. These individuals use dreams as a form of divination. Oneiromancy comes from the Greek ‘oneiros’ (dream) and ‘manteia’ (prophecy). 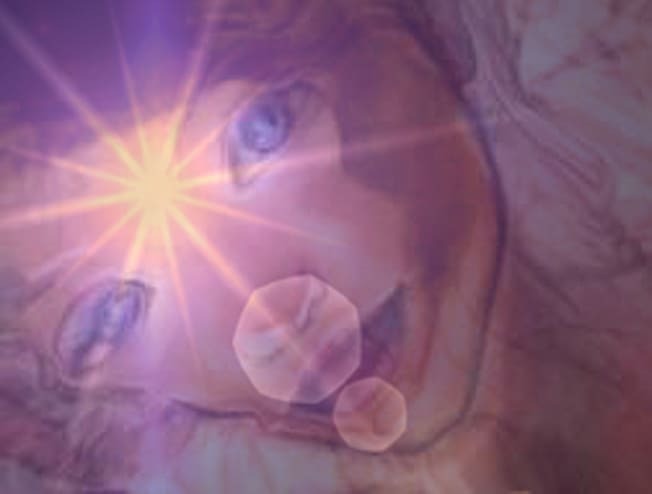 Oneiromancers use the hypnagogic lucid dream state as a way of predicting the future. The unconscious mind contain all the memories we have buried away and forgotten. In the trance-like hypnagogic state, we can observe the contents of our unconscious mind. By seeking to find patterns, and interpreting the dream-like images, hypnagogia can be a powerful form of self-exploration. 1. Set an intention: Get your mind ready, before you go to sleep. Do this by contemplating what you want to explore, for 20 to 30 minutes before you go to bed. It helps to be very clear about your intention, and to summarize it in one sentence. Writing your intention on a piece of paper can help. Contemplating on your intention is a powerful way of preparing your mind beforehand. 2. Prepare to record your experience: Have a notebook, journal, or better yet, a voice activated recorder, handy. You may also use your smart phone, with a voice activated recording app. 3. Take a nap or go to bed: Remember, your intention isn’t to fall into a deep sleep immediately. Lie down, and relax. Let your body and mind drift softly off into a hazy stupor. Completely unwind and let yourself be still. 4. Objectively observe your mind: You can use observing your breath to anchor yourself to awareness, as you notice your mind. This step takes practice, as it’s initially difficult to clearly observe your mind. 5. Record: At some point, you will become aware of a dream state. Remain in this lucid dream state as long as you can, and before you lose the images, record what you have experienced. Do this immediately, so you won’t forget. 6. Interpretation: When you are awake, reflect on what you have recorded. What are the first thoughts or feelings that come to mind? Does your interpretation inspire or shock you? The best way to tell if your interpretion is correct, is by the amount of emotional energy behind it. Remember, hypnagogic imagery can be either very abstract, or very straight forward. It may take a while to correctly interpret your hypnagogic experience. Sometimes the interpretation won’t be relevant to what you set as your intention. Keep practicing, often the imagery, words, sounds, or physical sensations feel completely unrelated to your intention. In a few days, go back, and see if something clicks. You may suddenly see how pertinent and symbolic the experience was to your intention. 8. Meditate on your experience: After you have interpreted your hypnagogic experience, sit quietly and reflect on it. Contemplate the implications, lessons, and spiritual advice you have received. Journaling about your experiences with hypnagogia, will deepen your ability to learn and grow from this spiritual practice. Hypnagogia can be a fascinating and kaleidoscopic experience, full of endless possibility and potential. Best of all, hypnagogia is an easily accessed gateway to your subconscious mind. By taking advantage of this dreamy mind state, you have the opportunity to gain spiritual guidance, the ability to solve problems, and gain the peaceful experience of inner Wholeness. This entry was posted in Developing Psychic Intuition, Divination and tagged divination, lucid dream, lucid dreaming. Bookmark the permalink.